Emily believes that she has an anger problem. She can feel that over the past few weeks she has been so quick to become agitated and snap at her husband, Mike, for everything he does. It seems like things always go wrong between them. She misses him when they’re not together, but when he is home, they get stuck in a vicious cycle of criticism, withdrawal, and/or retaliation. She cannot help but feel helpless. Emily is mad at Mike because she feels like he cannot do anything right, but she is more upset at herself for not being able to control her anger. Emily is my fictional character, but does her story align with your story? Do you feel what Emily feels in your current relationship? I know I have many times in my marriage. Being a couples therapist does not exclude me from being anger-free or feeling helpless at times in my relationship. Being a therapist teaches me the awareness of my connection with myself and my spouse. It also teaches me to use that awareness to develop a plan of action so I can nurture my bond with my partner in a healthy way. 1. Anger tells me that there is a disconnection in my relationship. Blaming comes from a place of disconnection. It says, “I don’t feel loved by you right now and it’s your fault.” When we’re in pain, we expect our partner to somehow know it and do something to take the pain away. We assume that our spouse can read our mind and help us save the day. When they fail to respond to us the way that we expect, we tend to lash out at them for our feelings of hopelessness. When you become easily agitated by your partner’s behaviors, it is usually a sign that there is incongruence in your relationship. 2. I use anger to protect my raw feelings because I don’t know if my partner would judge me because of how I feel. 3. I'm angry when I feel insecure about the relationship. When we feel overwhelmed either by high demands at work, school, or home, insecurity can sneak in and create doubt. It tells us “If you cannot be perfect doing what you do, you’re not good enough.” Instead of sharing our vulnerability, we fight by using anger or fly by withdrawing because they both offer an easier way out. When we feel insecure, we want to isolate ourselves from the world. But remember, connection is your protection. Talking to your loved ones is an effective way of battling your insecurity. 4. Anger tells me that there may be a need for healthy boundary setting. 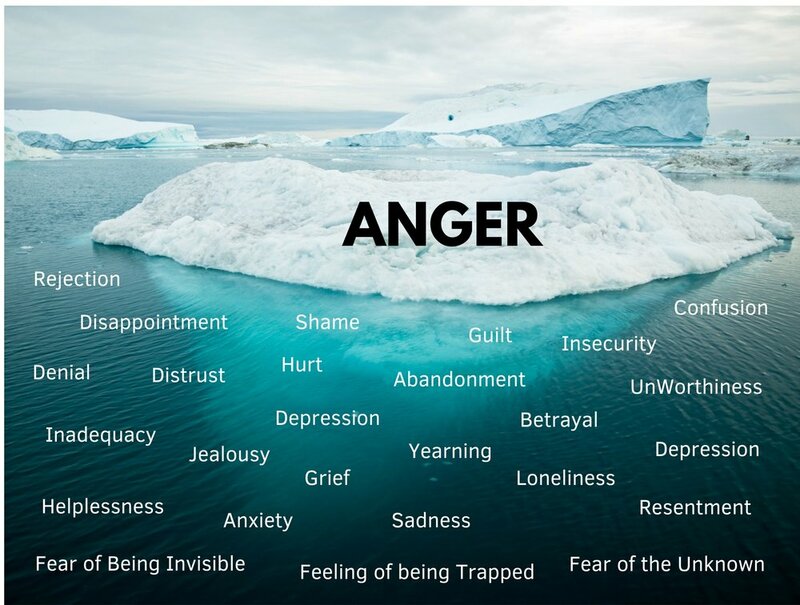 Learning to understand your anger and accept it with compassion is a more effective way of overcoming this negative communication habit. Although it might sometimes feel like your anger just comes from out of nowhere, this is never the case. If you pay close enough attention, you’ll see that your anger often tells you about what is happening within yourself, your environment, and/or your relationship. It may tell you that there is a need for improvement in your marriage. It may be a sign that you need to say “no” to things that you’re not comfortable doing. In my case, my anger told me that my husband and I needed to set healthy boundaries for what we would and would not do so we could nurture our mutual respect. Having an honest dialogue with your partner about your expectations of each other can help enhance your emotional bond. 5. Anger gives me a false sense of control in my marriage. Anger often comes from fear: fear of not being good enough, fear of being unlovable, fear of being unworthy, fear of being judged, or fear of being overlooked or disregarded, and so on. You get my point. Remember Emily in the above story? She may ask Mike to help her wash dishes after dinner and he forgets to do it or does not do it the way she wants. As her frustration grows due to Mike’s inadequate responses, Emily lashes out at him for not helping enough around the house. Emily’s anger is the only thing Mike can see and so he blames himself for not doing anything right to please his wife. Mike withdraws himself to another room, which causes Emily to be more upset and finds something else to criticize. The more she tries to engage him in her heated conversation, the more he removes himself by shutting down. The couple feels trapped in their endless cycle of negative interaction. Anger may make you feel like you have control over a situation, like Emily’s attempt to use anger to get her husband’s attention, but it only makes him shut her out. If Emily was able to help Mike understand what she needed from him, they would not end up feeling alone and disconnected. Real sense of control comes from within. It’s your ability to regulate your emotions by using healthy coping tools. It’s your ability to assert yourself without letting your feelings jeopardize your thinking calmly. So, if you’re struggling with your anger and it is affecting your relationship, reach out and get professional help. It’s time to practice assertiveness and let go of your anger!